Welcome to my collection of Amateur Radio Projects. 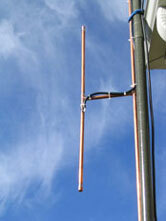 I do a lot of portable operating and prefer lightweight directional antennas such as the Moxon Rectangle. 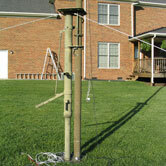 This compact antenna is similar in performance to a full size 2-element Yagi but with a higher front-to-back ratio and a 30% reduction in size. Each project includes a complete article, drawings, parts list, pictures, schematics, EZNEC models, and source code, as applicable. PC board files are in ExpressPCB format. Install this free software to view, edit, and order PC boards. New ideas and articles will appear as time allows, so thanks for looking and drop me an email if you have any questions or comments. Good luck building and I hope to see you on the air!